In a strange turn of events, a little more than a week after announcing that Quentin Tarantino would be making the Western The Hateful Eight his next picture, he’s now thinking about shelving it. Literally. He’s considering publishing the story first and then possibly revisiting it as a film some time in the next five years. Why? 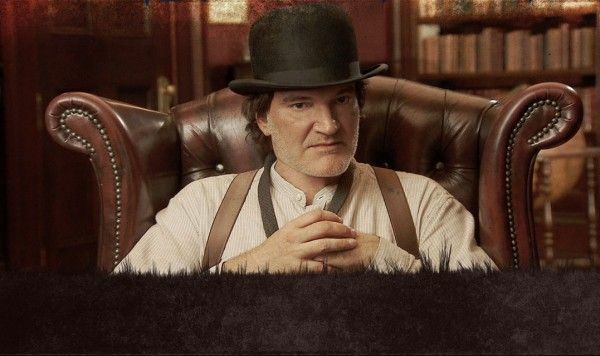 Well, it seems that a copy of the script sent out to a small circle of actors has been leaked, and Tarantino is so distraught over that fact that he’s thinking about scrapping production plans. Hit the jump for more. Tarantino has been considering a prison movie of sorts and has immersed himself in the details of the Robert Blake case, though a representative for Blake told TheWrap several weeks ago that Tarantino has not reached out to the former “Baretta” star, who was acquitted of killing his wife. Though it sounds like you won’t see it in theaters any time soon, it’s likely that you’ll be able to pick it up in book form before long.